Here at the Chiropractic Family Health Center, we are proud to help our patients live better lives without pain. If you have any questions about how we can get you out of pain (or just make you feel a lot better), don't hesitate to contact us today at (785) 537-8305. Spinal adjustment (or manipulation) is the process of aligning or moving the vertebrae to improve the relationship between the vertebrae above and below it. By improving this alignment, the patient receives improved function, better nerve and muscle performance, and decreased symptoms. Acupuncture is an ancient treatment which is based on the balancing of the bodies meridians (pathways). 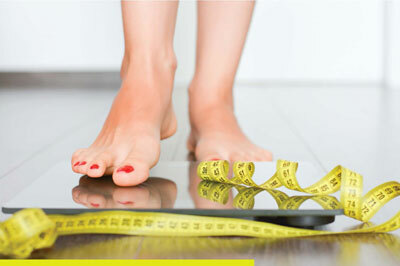 It is believed that the imbalance of energy (chi), in these pathways, leads to poor health and certain conditions. 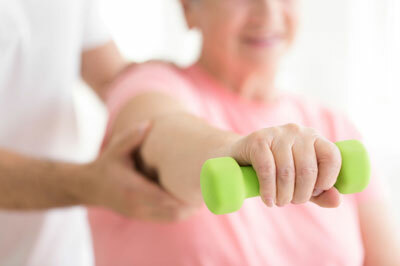 Corrective exercises help many athletes and patients eliminate negative aspects of workouts, improve routines and create a positive fitness attitude for lifelong enjoyment. 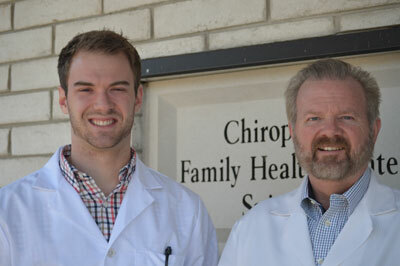 Dr. Mark Hatesohl and Dr. Mitch Keating stand ready to serve you in all of your chiropractic needs. Dietary counseling provides individualized nutritional care for encouraging the modification of eating habits. It may also assist in prevention or treatment of nutrition-related illnesses such as cardiovascular disease, cancer, obesity, diabetes, and hyperlipidemia.